This stunning case comes with a 40mm fan to help keep your Raspberry Pi cool and running efficiently. 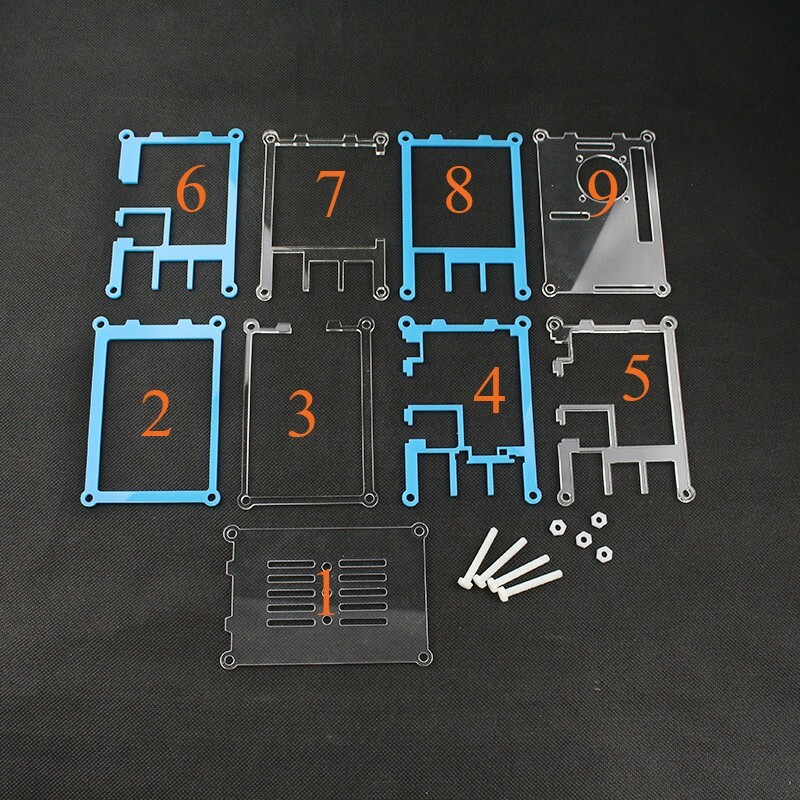 The case is designed specifically for the Raspberry Pi versions 2 and 3 and is comprised of 9 pieces of acrylic in an alternating clear and black design. It is simple to construct and as it has an open design, it allows required access to ports including the GPIO whilst at the same time protecting your Raspberry Pi from accidental damage or short circuits. The case layers can be a little confusing at first glance. The following image shows on which layer each piece should be added. Some of the internal layers have fragile parts and so be careful not to force parts together. Doing so may cause damage. All cases are inspected before they are shipped to help ensure they arrive to you in perfect condition.